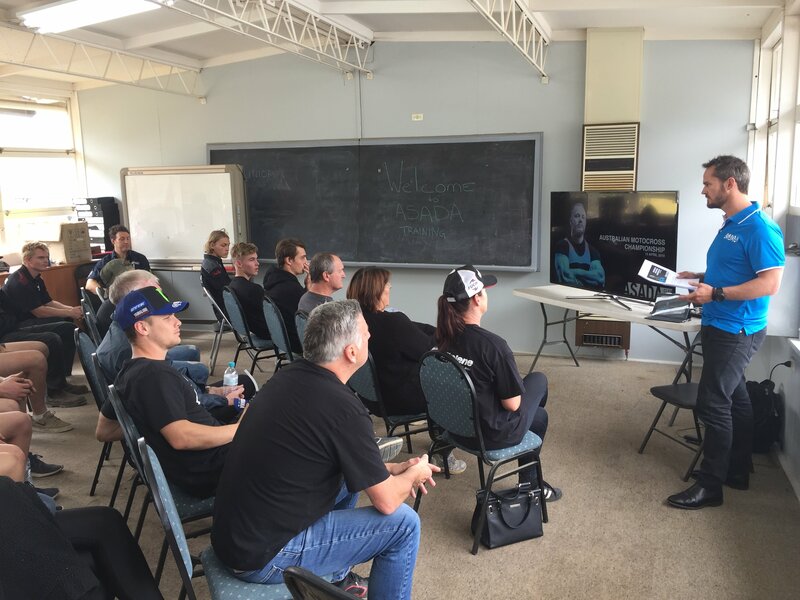 Following on from the successful anti-doping seminars held at the 2018 Australian Supercross Championship, the Australian Sports Anti-Doping Authority (ASADA) held three anti-doping seminars in conjunction with Motorcycling Australia (MA), supported by Williams Event Management (WEM), at Round 3 of the 2019 Pirelli MX Nationals. Across the three seminars, ASADA were greeted by a total of 123 attendees, which included the likes of Todd Waters, Luke Clout and Brett Metcalfe. With recent changes to MA’s Anti-Doping Policy and ongoing changes to Anti-Doping Regulations, these seminars are increasingly important to all competitors, teams and MA members in understanding how an anti-doping violation might affect them. “It was a great turnout at Broadford for the MX Nationals” explained MA Chief Executive Officer, Peter Doyle. “We conducted three seminars, two of which were aimed at Senior competitors, and the final aimed at Juniors. Of the 123 attendees, participants included parents, team managers and crew alongside competitors, which made for a very good turnout,” he said. “It is important that we ensure that these anti-doping messages are received and understood. Our aim is that these sessions give the members a better understanding of the repercussions of an anti-doping violation, and to let them know there are a lot of tools available to support them if they are unsure about the medication or supplements they are taking. Australia is one of the few countries under the FIM hosting anti-doping education, they have been well received and we hope to expand the program to other disciplines soon. For further information on MA’s Anti-Doping Policy, please click here. For further information on ASADA and their Anti-Doping Regulations, please click here.